It’s bright and breezy out on the Firth of Clyde and Largs is sailing into the weekend with perfect conditions for hosting this world class event at Largs Yacht Haven organised by the SSI and Largs Sailing Club. Competitiors have arrived for the event with registration and the opening ceremony taking place this weekend. The fun starts on Monday, 14th when the first two races start and will continue right through to Saturday, 19th of July with the prize giving and closing ceremony. The sight of these spectacular 20-foot racing boats is one not to be missed so get yourself to Largs this week and don’t miss out. Meanwhile, at Sugar & Spice, we’ve developed a new flavour of Geraldo’s Ice Cream to welcome the competitors to the town centre. 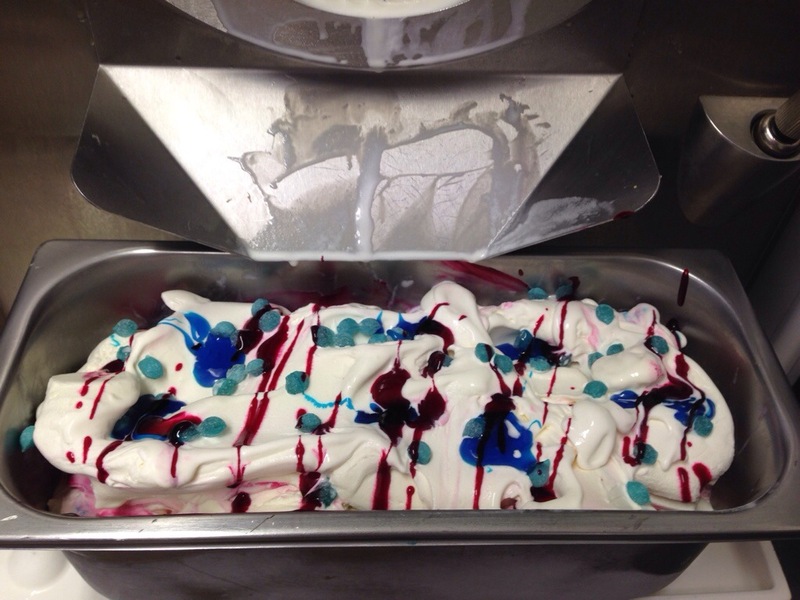 It’s our traditional Classic Vanilla recipe rippled with red and blue raspberry sauce and a sprinkling of blue sherbet pips and called, you guessed it: “The Flying Dutchman!” We’re flying the flag for Great Britain and hope that our British competitors enjoy some fantastic racing. Incidentally, I just found out the Flying Dutchman is a legendary ghost ship that’s doomed to sail the oceans forever. Let’s just hope that all who sail in the event make it safely back to shore to enjoy the closing party celebrations. Talking of celebrations, if you’re a whisky or whisky liqueur fan, Old Pulteney are one of the event sponsors. We’re offering 10% discount off Old Pulteney Stroma Liqueur during the Flying Dutchman event. 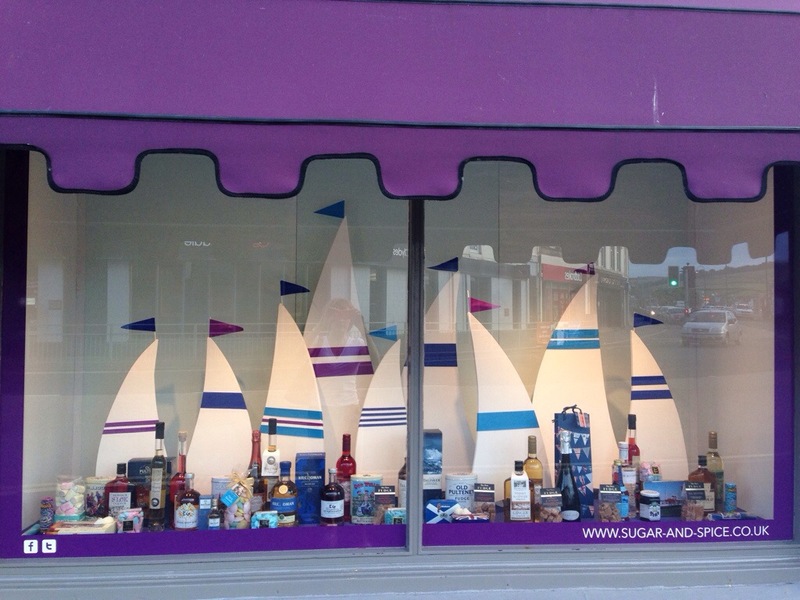 This entry was posted in Ice Cream, Largs and tagged Ayrshire, blue raspberry, Flying Dutchman, glutenfree, Ice cream, largs, making ice cream, Sailing, Sunshine, weather by Geraldo's of Largs. Bookmark the permalink.